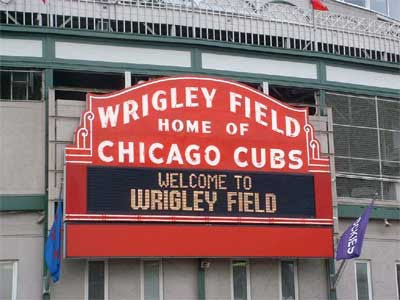 Throughout the 2014 season, the Chicago Cubs will be celebrating the centennial anniversary of Wrigley Field. The Friendly Confines remains one of baseball's most storied stadiums and serves as a reminder of the rich history that endures in baseball. The Cubs will be unveiling a commemorative logo on Saturday September 21st to honor the Friendly Confines and the team will feature the logo on a patch on their 2014 uniforms. Of course, the new 2014 Cubs jersey will be available here at Pro League Authentics.